Don’t Blame Me (Jimmy McHugh, Dorothy Fields) was introduced by Walter Woolf King in the 1932 musical revue Clowns in Clover at Chicago’s Apollo Theater. Originally opening in 1927 at the Adelphi Theater in London, Clowns in Clover starred the husband and wife musical comedy team of Jack Hulbert and Cicely Courtneidge. The London engagement enjoyed great success and ran for 500 performances. While Noel Gay wrote the original score for Clowns in Clover, Dorothy Fields and Jimmy McHugh added songs such as “Don’t Blame Me” for the Chicago run. Ben Webster – recorded in N.Y. September 1943 – Ben Webster (ts), Hot Lips Page (tp), Clyde Hart (p), Charlie Drayton (b), Denzil Best (d). 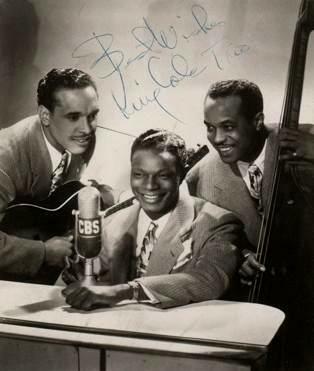 Although the JazzStandards.com “Don’t Blame Me” page says that Cole’s 1948 hit was a re-release of a 1944 recording, the Nat King Cole discography at JazzDisco.org indicates that the first recording of the song by the trio was made at Radio Recorders in Hollywood, CA during a 19 May 1945 session. 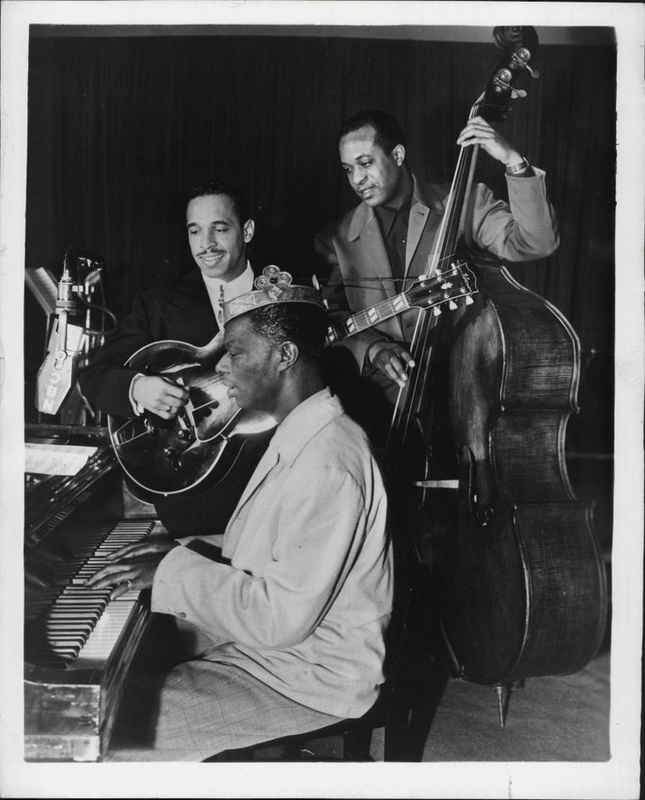 The catalog number given by JazzDisco.org for this recording, Capitol 15110, corresponds to a 1947 single release listed in the A Pile o’ Cole Nat King Cole discography, which is most likely the recording that became the 1948 hit. This track may not be as well known as Bird’s version of “Embraceable You,” recorded a few days earlier, but it still ranks as one of Parker’s finest ballad performances. Miles tackles the intro, but the altoist takes center stage with an opening chorus that barely touches on the melody. Parker handles this song with such effortless mastery and with so many melodic ideas flowing from his horn that anything the other musicians might add would be anticlimactic. Miles makes the smart decision, and follows the leader with an understated solo that looks forward to his cool stylings of the next decade. Somehow this track gets left off the “greatest hits” compilations, but it may be the closest thing we have to a definitive alto sax treatment of the Jimmy McHugh standard.